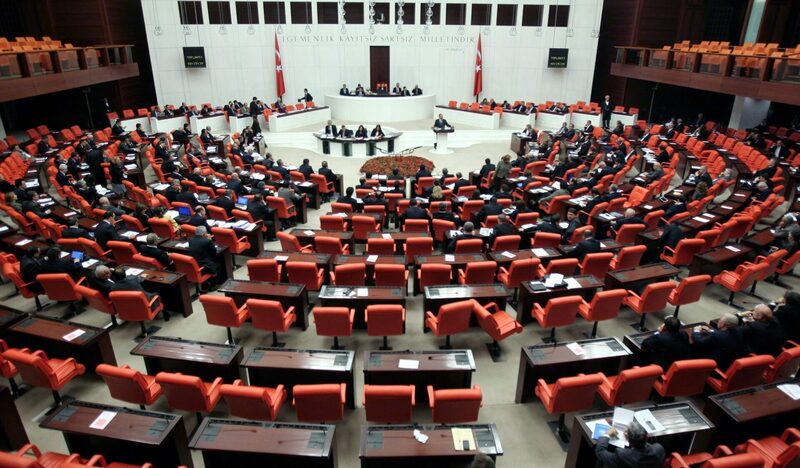 Scuffles between Turkish lawmakers from the ruling AK Party and main opposition Republican’s People Party (CHP) broke out on Wednesday during a debate at general assembly on constitutional changes. According to Turkish media reports, brawls erupted as a lawmakers from AK Party tried to prevent CHP MP, Fatma Kaplan from filming the voting session with her mobile. Lawmakers from two parties traded kicks and punches as acting parliament speaker adjourned the session. The constitutional changes debated by Turkish MPs would hand President Tayyip Erdogan sweeping new powers as an executive president.